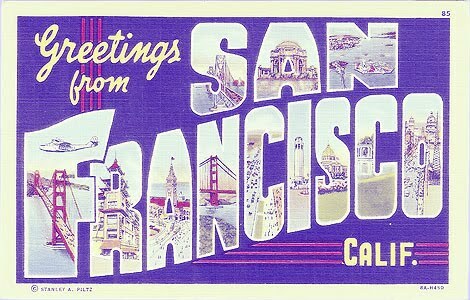 Tomorrow I leave for my vacation trip with my best friend to San Francisco. Yay! We have many interesting sites and attractions in the schedule. I hope to bring back some great photos and gain loads of inspiration, plus actually take a true break from my full-time graphic design position. One of my most anticipated and inspirational stops includes the SFMOMA (San Francisco Museum of Modern Art). The exhibits showing include: Prints by Paul Klee (1946), New Topographics - Photographs of a Man-Altered Landscape, Picturing Modernity, New Work - Mika Rottenberg, The Anniversary Show, and Dispatches from the Archives. Other notable visits of inspiration include Musee Mecanique, Golden Gate Bridge, and San Francisco Movie Tour. I am excited to see what the key highlights of the trip will shape out to be.